The Finnish President is popularly elected to 6-year terms as Head of State and Commander-in-Chief of the military. 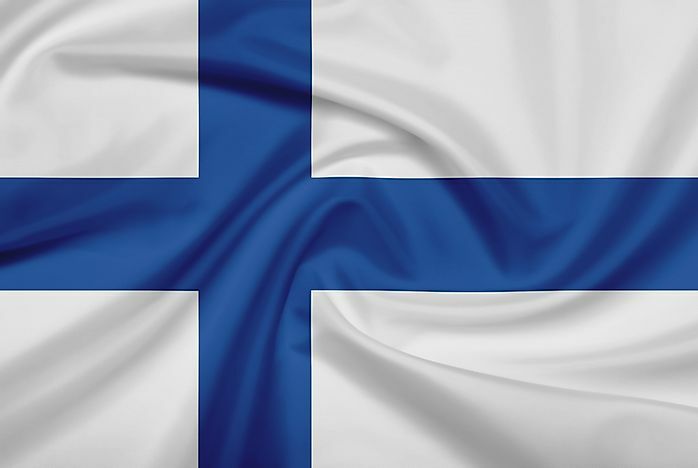 The official flag of Finland. The President of the Republic of Finland is considered the Head of State and holds shared executive powers with the Council of the State. This office has existed since 1919, when it was created by the Constitution Act. Since 1994, the person in this position is elected by a direct popular vote and serves a 6-year term. The amount of time in this office is limited to two consecutive terms. Finland has had 12 presidents since the establishment of this position. This article takes a look at some of its presidents. The first President of Finland was Kaarlo Juho Ståhlberg from 1919 until 1925. Prior to serving as President, he was the Speaker of Parliament from 1914 to 1917 and he played a critical role in creating the country’s Constitution. He was elected by Parliament because at that time, the country was under martial law and shifting to constitutional law. Due to this newly evolving government and its turmoil, Ståhlberg appointed 8 different governments during his 6-year tenure. He is remembered for his moderate stances on social and economic issues. While President, he enacted several laws, including: giving trade unions power to negotiate labor contracts, improving public care for those living in poverty, redistributing land ownership from the wealthy to the landless. Martti Ahtisaari was the 10th president of Finland and served between 1994 and 2000. He was the first president to be elected by the direct popular vote and came into office as a Social Democrat during an economic recession. He met some friction with the Centre Party-led government because of his stances on foreign policy and domestic unemployment. He is known for holding his campaign promise of visiting every province within the country. During his term, Finland joined the European Union (EU) and Ahtisaari helped negotiate an end to the war in Kosovo. He chose not to run for re-election in 2000 due to opposition within his party. After his presidency, the Finnish Constitution of 2000 restricted presidential powers. Finland’s 11th President was Tarja Halonen. She served two terms between 2000 and 2012. In addition to being the first female president of the country, she is also known for her work in human rights issues. During her presidency, Halonen enjoyed a high popular approval rating despite some conflict with the government. She was openly opposed to the use of landmines and NATO membership. She supports the involvement of the Central Organization of Finnish Trade Unions (SAK) in politics. At the beginning of her second term, she declined the Council of State’s nomination for the Interior Ministry, going against 50 years of tradition. At the end of her second term, a chairperson of two of the largest banks in the country criticized both her presidency and economic policy. Other Presidents of the Republic of Finland can be seen in the chart published below. Prior to 2000, presidential powers outweighed that of the Prime Minister. Amendments to the Constitution changed that, however, and today, the President shares equal executive authority with the Prime Minister. Some of the duties of the President include: appointing and discharging ministers, enacting international agreements that do not affect domestic legislation, signing or vetoing all acts passed by Parliament, and acting as Commander in Chief of the armed forces.